If you read the 'business pages' of a newspaper or if you listen to the financial news on the television or radio, you will often hear terms such as 'liability', 'balance sheet' or 'earnings'. These terms turn up in non-financial contexts as well: 'he was more of a liability than an asset'. If you invest in shares, have a building society account, or sit on a committee of the property company which owns your apartment block, you will receive financial statements every year. If you are a manager in a company, a hospital or a school, you will see accounting information often. This Very Short Introduction provides a guide to understanding and using accounting information. Christopher Nobes explains the main areas of accounting work, from bookkeeping and financial reporting to auditing and management accounting. 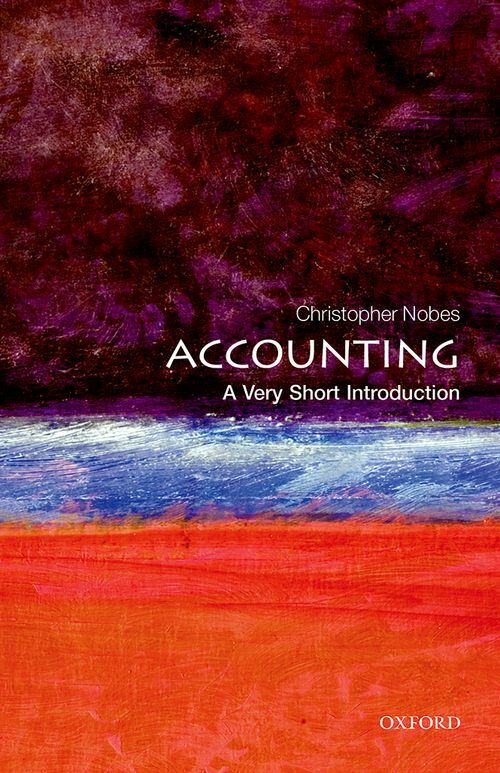 Christopher Nobes is Professor of Accounting at Royal Holloway College, University of London. He is also Professor of Accounting at the University of Sydney and Adjunct Professor of Accounting at the Norwegian Business School. He has written several popular works in the area of Accounting including Pocket Accounting: The Essentials of Accounting from A to Z (4th ed Economist Books, 2001) and the Dictionary of Accounting (Penguin, 2002).